Probably the best access to my blogs and websites is via blog.rightreading.com. Please add my RSS to your feeds by going here. The Right Reading feed is more complete and current than the Atom feed that is offered here at this blogger account. Got the BPP skin to JAlbum looking more or less the way I like. Made a photo album (really a partial one as I plan to add more slides to it) and posted it here. We would like you to collaborate on a publication in a new architecture magazine called Mark--Another Architecture. The idea is to make an international quarterly with a difference. Architecture mags tend to be serious, factual, descriptive and, if you like, boring. So we are trying to make a magazine that's lively and personal, offering another angle on the usual architectural news. For a feature on the new De Young Museum, which is, as we're told, an amazing accomplishment of Swiss architects Herzog & De Meuron, would you be interested in telling about your relationship with SF, Golden Gate Park, and the De Young, and having your photographs published in our magazine? I am applying on behalf of the Kolonna Publications, a Moscow-based publishing house. We are planning to publish Hieroglyphic Tales this Fall; it would be the first Russian translation of the book. We are asking for your permission to use your wonderful preface in a slightly abridged version for our edition. Over at stutteringhand.com my credit card expired. So what did my host do? They deleted my site! Which is pretty huge (I need to edit it, but not that drastically.) I had most of it backed up, but still ... If you happen to be over there and notice anything missing or otherwise amiss, please let me know. These guys desserve credit for standing up to the marketing machine that is the Academy Awards. 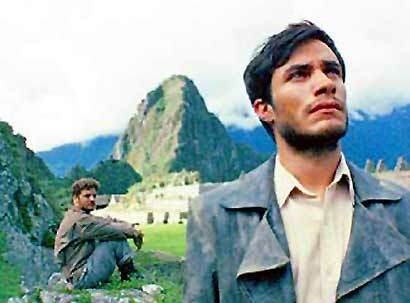 If you saw that show you saw Drexler's pained look as Carlos Santana and Antonio Banderas butchered his song from Motorcycle Diaries, "Al Otro Lado del Rio." Santana is Mexican-American and Banderas is Spanish, and neither is at all appropriate to perform the Uruguayan musician's song. 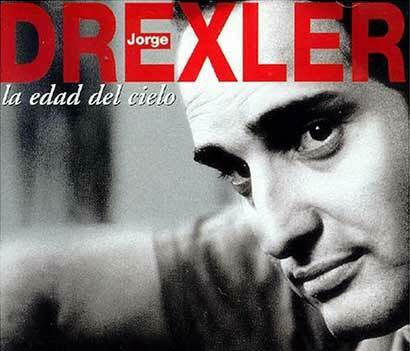 When the Academy decided that Drexler wasn't a big enough name (and I guess Beyonce's Spanish must be even worse than her French), Gael Garcia Bernal refused to introduce the song in protest (the always obliging Salma Hayek filled in). When Drexel accepted the award he sang the song -- his version bore scant resemblance whatever it was that Santana and Banderas performed -- and accepted with dignity. Bravo, señores! The marketing people will tell you to find a niche and fill it – drive a wedge into the cultural cacophony and gradually expand your slot. But that doesn’t interest me, so here anything goes. Generally though, my interests fall under the catch-all rubric of culture, and therefore the title, which comes from my first book-length translation, back in ancient times when I did technical translation. It’s out of print now, but you’ve probably read it. It was called Frozen Coagulated Cultures in Wine, Cheese, and Sauerkraut Production. You can’t get much sexier than that. Right?